Despite its modest exterior dimensions, the 2015 Honda Pilot SUV is surprisingly accommodating inside, making it ideal for large families with limited garage space. Granted, the Pilot can't tow like a V8-powered Chevrolet Tahoe or Nissan Armada, but it offers more agile handling, better fuel economy and a lower sticker price, plus excellent resale value. The plainest Honda ever to roam the face of the entire planet earth. 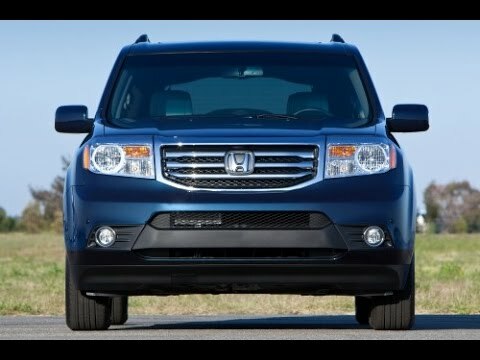 The Honda pilot is quite reliable and is great for an everyday commuter. However, the car does fall short with things like performance if you are at all concerned with that. The six-cylinder does not accelerate very easily when trying to reach highway speeds. The styling is a little dated for a car from 2015, but if you are still into the boxy cars from the early 2000's the styling will not be an issue. If you are looking for something that is reliable, and you are not fussy about looks or performance, this car will suit you beautifully. When it comes to the interior the styling and features are mediocre. The speakers are not any better than the ones in my old 2007 mercury mariner, and the screen lacks essentials like GPS. Overall the features are pretty plain and simple. One bonus about the interior however would be the leather. The seats are actually very comfortable and do not make my back hurt like it has in previous vehicles. Great family car to fit 3 car seats! We chose the Honda pilot because we have 3 kids under the age of five, and didn't want to get a minivan. We are able to fit three car seats across the back row, and still have a lot of room for hauling groceries, a stroller, etc. My husband is also 6’3 and feels comfortable in our pilot in regards to leg room and head space. We also enjoy the third row seat when we have another kiddo joining us for a baseball game or birthday party. There are a few things I hope Honda will improve with newer additions. The technology aspects are kind of low end. The center console display is just a black screen with white digital on it. Also the key fob is just unlock/lock and pops the trunk. I would love it to have remote start and unlock hands free. Additionally the leather in the car stains very easily from denim jeans. The Honda Pilot's great safety ratings grant moms peace of mind! I love my Pilot! From the third row seating WITH LATCH system, to the easy ability to fold seats flat for storage, to the 5 star safety ratings and great gas mileage for the size, I would never drive another vehicle. On our recent 1,300 mile relocation drive, I was so thankful for the comfort and reliability of my Pilot. Every time I get in my car, I feel like I'm sitting on my couch! The roominess can't be beat. The rear backup camera has come in handy more times than I can count, especially now with our garage having limited parking space (HELLOOO cross country move!). I love knowing that my family is safe whenever we travel anywhere, whether it is to the grocery store, across town, or across the country. I'm so thankful for my Pilot!